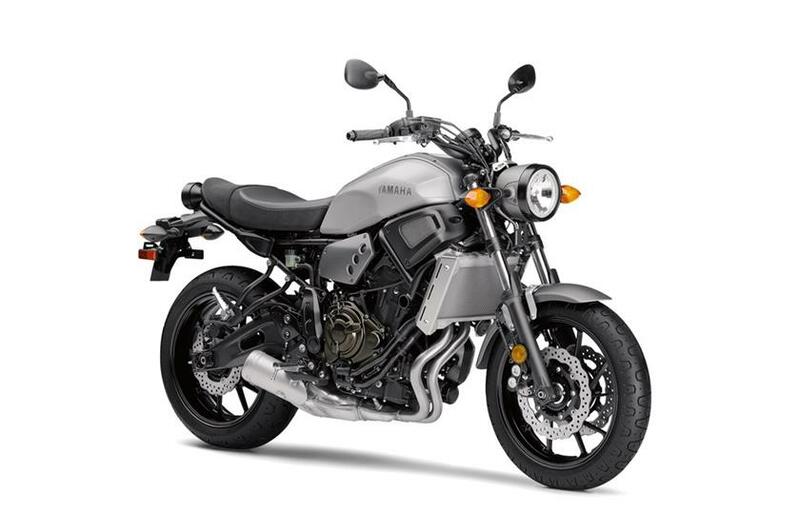 Standout Style The XSR700™ blends Yamaha’s world-class engineering with timeless style, creating a new type of machine for riders looking for an authentic and honest motorcycle that doesn’t sacrifice performance. Drawing influence from Yamaha’s classic “XS” series of motorcycles, the XSR® oozes class, with exposed aluminum details, retro-influenced bodywork, stepped seat and custom lighting and instrumentation. Advanced Crossplane Crankshaft Concept Engine The compact 2-cylinder engine provides a unique power character, with outstanding torque and throttle response, combined with strong high-rpm pulling power. It also features Yamaha’s “Crossplane Concept” 270-degree crank that provides linear torque development in response to the rider’s throttle input. Powerful Braking with ABS The XSR700 provides exceptional braking power with confidence thanks to modern brake components backed up with the security of ABS. Compact, Sporty Chassis The narrow frame design features sport-oriented geometry to achieve light and nimble handling, aided by the minimalist 410-pound wet weight and refined ergonomics.